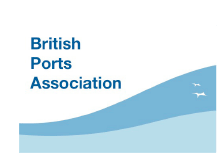 Founded in 1992, the British Ports Association represents the interests of ports, terminal operators and port facilities, all of varying size, location and nature, to the United Kingdom and devolved Governments, the European Union and national and international bodies. As a member of the association Hydrosphere contributes to the BPA’s fundamental investment into the UK Ports industry, which carries 95% of the UK’s international trade and handles 25million international passenger journeys each year. Through these investments Ports are able to expand their facilities to cope with increasing demand and the UK economy can remain competitive internationally. The Annual BPA Conference will be hosted by Grimsby Fish Dock Enterprises on 9th and 10th October in Broughton, North Lincolnshire where Hydrosphere will be in attendance. To visit the BPA website click here.